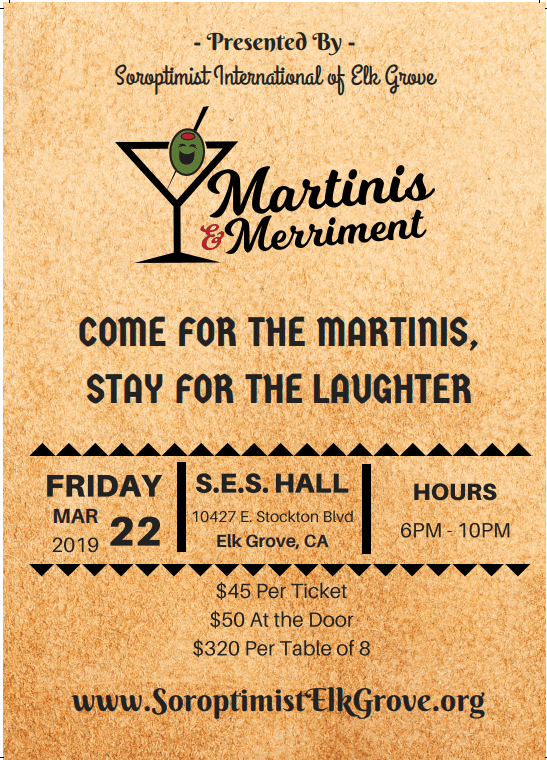 Come enjoy the martinis, appetizers, and live entertainment with Blue’s Mechanix band and comedians Steve Bruner & Katsy Chappel. Plus, a special Drawing will be held at the event for an exciting package to attend “Big Crush Harvest Festival 2019”. *More information available below. Order tickets at the bottom of the page. Order Tickets Here: Upon completion of your order, you will receive an email from Pay Pal indicating that you have paid for your tickets. Please bring your email receipt with you to the event. Your tickets will be held at Will Call at the of the event. Big Crush Harvest Festival, held on Oct. 4th, 5th & 6th – 40+ wineries present creative good and wine pairings, live music in scenic foothills of Amador Wine Country. Plymouth Grape Stomping contest, Oct 4th. Suite at Hotel Rest -Boutique Hotel in Plymouth, Oct 4th-5th. Chauffeur for 2 days and a wagon of wine from the Shenandoah Valley Wineries.